* Feel free to request some specifics. I will try my best! The only monster I can think of having a shiny form is of my favorite monster, Radiaution. I don't know of a specific color pallet besides having red in replace of green with keeping everything relatively the same colors but make the skin/fur around the torso, face, and bottom half of the body much darker almost to a black. And not to make it too bright where it causes an eye sore. (2014-12-22, 05:13 PM)Cpt. Obvious Wrote: Rufoast..
and hence your forum avatar already got it , why not fendark aswell ? Updated with 3 more! More to come! (2014-12-25, 06:28 PM)zacherymatthews Wrote: Updated with 3 more! More to come! Updated with Drachnige, Drasieger, Spectrorb, Miroushon, Jaghoul, Vesuverex, and Sarcuda! So. Recently I got a chromebook. With that being said, I could not get GIMP again on this chromebook. I had to switch to a new program called Pixlr. Here is my first "shiny" with that program. Is it worse? Is it better? Does it look the same? I need opinions. (2015-04-10, 02:01 PM)zacherymatthews Wrote: So. Recently I got a chromebook. With that being said, I could not get GIMP again on this chromebook. I had to switch to a new program called Pixlr. Here is my first "shiny" with that program. Is it worse? Is it better? Does it look the same? I need opinions. I like it but my problem is that, if we were to have shiny Monsters, they'd need to have more care put into their coloring than using a filter ya know? You know what would be really awesome? If our monsters had multiple shiny forms. I don't know what we'd call it; maybe after Greek letters. Normal color is Alpha, first shiny is Beta, next is Gamma, etc. etc. etc. each rarer than the last, for however many shinies we want per monster. Maybe the rarest would have an entirely new pattern instead of a different palette. I feel like that would add a lot of variety to the game. Also, I am drooling over that shiny Miroushon. DO WANT. (2015-04-13, 12:22 AM)TexasToast Wrote: You know what would be really awesome? If our monsters had multiple shiny forms. I don't know what we'd call it; maybe after Greek letters. Normal color is Alpha, first shiny is Beta, next is Gamma, etc. etc. etc. each rarer than the last, for however many shinies we want per monster. Maybe the rarest would have an entirely new pattern instead of a different palette. I feel like that would add a lot of variety to the game. 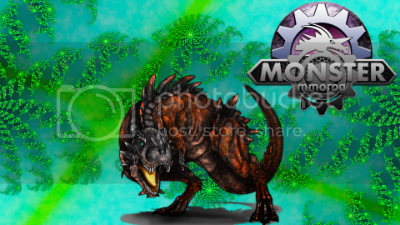 (2015-04-12, 11:23 PM)Knost Wrote: I like it but my problem is that, if we were to have shiny Monsters, they'd need to have more care put into their coloring than using a filter ya know? Any comments on this new way? 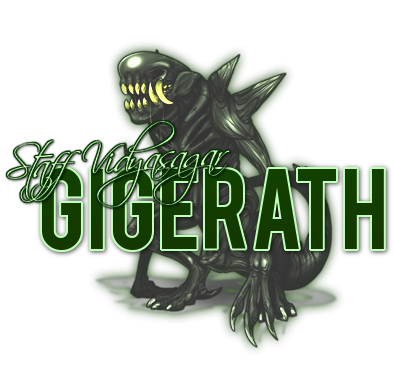 Updated with 2 more giga's. More to come. Well. Thank you. (: That means a lot!